E-commerce is one of the most important and fastest-growing aspects of today’s retail landscape. E-commerce, also known as electronic commerce or EC, refers to any sort of business or commercial transaction that happens online. E-commerce is one of the most important and fastest-growing aspects of today’s retail landscape. It can be classified based on the type of people involved in the transaction: business to consumer (B2C), business to business (B2B), and consumer to consumer (C2C). B2C e-commerce is booming. The average consumer now spends over $1,700 per year on the Internet — a number that’s expected to skyrocket in the near future. Internet Retailer projects that consumers will spend over $400 billion online per year by 2018. Businesses that fail to adapt to the rapidly evolving online retail landscape could soon become obsolete. In order to attract and retain customers, it’s critical to adopt a comprehensive online strategy and keep up with new e-commerce trends. Below are seven of the most important. Mobile should be a pillar of your e-commerce strategy in 2017. A report by Gartner predicts that mobile purchases will make up 50 percent of all United States e-commerce revenue this year. And Google recently revealed that mobile has surpassed desktop in all product searches. For your business to capture some of those sales, your e-commerce website design needs to be mobile optimized, meaning that it works seamlessly on both mobile devices and desktop computers. It’s also worth investing in more robust mobile capabilities. Creating a mobile app is one strategy to explore. Consumers spend 85 percent of their smartphone time on mobile apps, so developing your own app or integrating your business into a broader consumer app is a smart idea. Leveraging mobile assistants to support convenience is also effective. Gartner predicts that over $2 billion in online shopping will be performed exclusively by mobile assistants this year. This includes things like more convenient and expedited checkout flows that autopopulate the name, address, and credit card information for the shopper. Consumers now expect an Amazon Prime–like experience when it comes to the fulfillment process. That is, they want shipping and returns to be cheap (or preferably free), fast, and convenient. 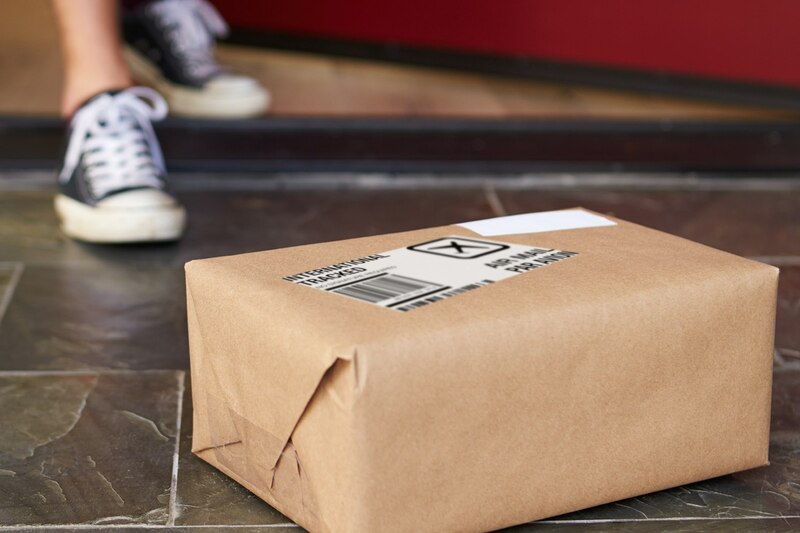 A recent study by Temando found that 80 percent of shoppers want retailers to offer a same-day shipping option, and 61 percent want their packages even faster — within just one to three hours of placing an order. If your business doesn’t have the bandwidth to offer free or same-day shipping from your online store, consider integrating in-store, same-day pickup into your e-commerce model. The returns process also needs to be seamless. A Forrester study (conducted for UPS) found that 81 percent of consumers want an easier way to send back products bought online. And comScore reports that 68 percent of online shoppers desire complimentary return shipping. Integrated software tools like ReadyCloud allow you to add an “Amazon-like” returns process into your online store. Real-time data provides the capability to analyze every possible point where a customer interacts with your business digitally. Consumers’ tendency to channel hop is becoming commonplace, which makes this type of analysis paramount. Many e-commerce software platforms allow you to track behavior from every sales avenue to see whether it results in a conversion (aka a sale), a hop over to another one of your channels, or a bounce away from your site altogether. You can use these analytics to better understand your customers’ behavior and identify the changes you can make on each channel or funnel to increase sales. Smart marketers now see these types of analytics as the bedrock of their strategy. Seventy-seven percent of marketing professionals think a planned approach that focuses on analytics is the best way to optimize their online strategy. Although e-commerce sales are accelerating, many consumers still want some type of real human interaction to help inform their purchase decisions. According to an Econsultancy report, 83 percent of customers want live support during their shopping and checkout process at an online store. 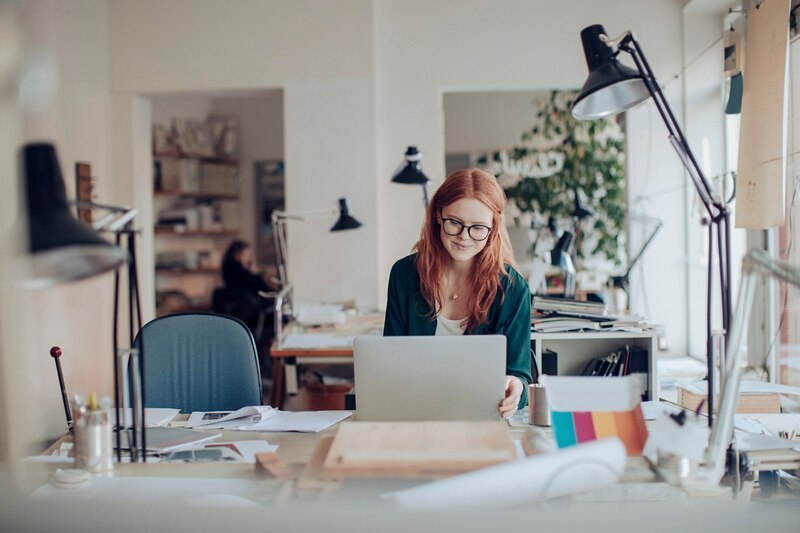 What’s more, 51 percent of consumers give up if they don’t get the live support they need before deciding to purchase something from a business. There are a variety of live support software tools you can integrate into your online store, like Intercom, Zoho SalesIQ, and Live Chat. Research shows that shoppers who are more actively engaged with your brand are more valuable to your business. Gallup reports that fully engaged shoppers visit e-commerce retailers 44 percent more per year than disengaged shoppers. So it pays to find ways to interact with your customers. Be active and responsive on social media, send email newsletters, reward loyal customers with perks, and frequently update your blog with compelling posts and videos. Subscription boxes — that is, regular shipments of curated items — are one of the hottest trends in e-commerce. The industry has grown a whopping 3,000 percent in the last three years, with tens of millions of Americans now paying monthly for regular shipments of everything from clothing to shaving supplies to clothes to meal kits. Given the ballooning popularity of this new online market, it’s worth considering whether it makes sense to integrate subscription boxes into your e-commerce strategy. Services like Cratejoy and Subbly can help you get started, taking care of everything from website coding and hosting to billing and shipping logistics. We’ll see a surge of artificial intelligence retail applications in 2017, designed to allow businesses to foster a more personalized experience for their customers. AI can analyze mounds of data and quickly decipher patterns and trends. As a result, it can provide rich insights about behavior before, during, and after a purchase, which allows businesses to strategically tailor personalized messaging for each and every customer. One of the ways we’re seeing AI put to use is with chatbots, software that mimics human conversation and is used in apps like Facebook Messenger, SMS, and email. Every business has specific needs for its e-commerce site. And different platforms have their own strengths and weaknesses. That’s why the most important factor in choosing the best e-commerce platform is whether it offers the right features for your business. With Square’s E-Commerce API, you can embed a secure, customizable form on your website that allows you to accept online payments and issue refunds for previously processed payments. You get all the benefits of Square right on your site: fast deposits, Dashboard reporting, and help with handling chargebacks. To use the Square API, you need to sign up for a developer account. Learn how to get started. Square also syncs with a variety of beautiful, no-coding-required e-commerce platforms like BigCommerce, Wix, Ecwid, WooCommerce, Magento, and 3dcart that help you start your online store quickly. All of these solutions sync with Square, so you can seamlessly manage your online and offline sales and inventory in one centralized system. You can check Square App Marketplace to determine which e-commerce platform best suits your needs. WordPress’ e-commerce plugins are also a great option. If you already run a blog or site on WordPress and decide you want to branch out to e-commerce within the same ecosystem, WordPress plugins give you the capability to do so. There are a number of WordPress plug-in options — WooCommerce, Ecwid, Easy Digital Downloads, and Jigoshop, to name a few. Each serves different needs and requires varying degrees of tech savviness to implement. Most e-commerce platforms have partnerships with payment processing companies. These companies work in the background to securely provide payment processing services to online retailers. Different e-commerce platforms have different processing fees per transaction, so do your research before you decide which one is best for you. Square’s e-commerce options charge 2.9 percent plus 30 cents per transaction. PCI DSS (which stands for Payment Card Industry Data Security Standard) sets the requirements for businesses to safely accept, store, process, and submit cardholder data during a card transaction in order to prevent fraud and security breaches. Any seller that accepts payment cards online or in person must follow these rules. That’s why it’s critical to make sure the e-commerce platform you choose is PCI compliant. Square’s e-commerce API is PCI compliant, as are all of the e-commerce platforms in Square App Marketplace. Some e-commerce platforms require a monthly hosting fee, which can vary greatly (bare-bones plans typically start at around $30 a month) depending on the scope of your online store. A payment gateway handles the transfer of information between a business’s website and the acquiring bank. It encrypts sensitive information like card numbers to make sure everything is secure throughout the payment process. Some e-commerce providers include the payment gateway fee as part of the transaction fee. Others allow you to choose your own payment gateway platform, which have varying pricing. With any solution, you want to make sure that it’s fully PCI compliant. Do you have a developer? If you have a developer, you might think about creating a highly customized online store for your business. In this case, the Square E-Commerce API is a great solution for integrating secure payment processing functionality. If you don’t have a developer, a templatized, ready-to-go e-commerce platform (like one of Square’s App Marketplace partners) may be a better option. Studies show that mobile online shopping is starting to outpace laptop and desktop shopping. Over 50 percent of online e-commerce traffic now comes from mobile smartphones. That’s why you need to ensure your online store includes responsive web design, which creates a system for a single site (with the same url) to react to the size of a user’s device. A responsive design has a flexible layout that automatically adjusts and adapts according to screen size. That means users visiting your site via their smartphones encounter readable text that doesn’t require zoom or horizontal scrolling and has adequate space to click links. Perhaps there might even be a mobile-customized experience. Etsy is an excellent example. Its mobile site is clean and easy to navigate thanks to its clear vertical navigation, easily tappable images, and prominent search bar above the fold. Clean e-commerce website design is key for user-friendliness and site performance (speed). If there are a ton of images and links stuffed above the fold, the site will be cluttered and difficult to navigate. So go minimal. Remember that adequate spacing between page elements is important, as are typography and contrast. Minimalist designs also lend themselves well to responsive website design (and we know that is key for mobile users) because they encourage scrolling (which people don’t really mind). Art and design site CreativeBloq gives a nod to menswear retailer Best Made Company for its attractive, minimalist design. The cleanness of the site, featuring lots of white space, allows the product photography to take center stage. A confusing site hurts your sales. Twenty percent of online shoppers cite bad site design and navigation as a primary reason for abandoning a cart or choosing not to buy something from a retailer. To mitigate this, e-commerce navigation elements need to be prominent and extremely organized. Choose obvious category and subcategory names, sticking to as few as possible to avoid confusion and choice paralysis. Your navigation should always be in the same place, using the same colors and fonts on all pages of your e-commerce site. Shoppers frequently use search to find exactly what they’re looking for. Therefore, the search bar should be one of the easiest things to find. Make sure it’s placed in the header on all site pages. But it’s not just about placement. Integrate the most robust search functionality your e-commerce platform offers. Things like autocomplete suggestions, search by product name, search by model number, and symbols and abbreviations within a search term are all important. Look to sites like Zappos for inspiration. The search bar is large and prominent at the top of the page; it stays in the same place as you navigate throughout the site. It also includes autocomplete suggestions for all search terms. It should be as easy as possible for people to buy stuff from you. That’s why a highly visible “Add to Cart” button is so important. Your “Add to Cart” button should be above the fold in a color that stands out from the rest of the page. It’s also not the place to get creative with your call to action copy. Just say exactly what you want people to do (“Add to Cart,” “Add to Basket,” or “Buy Now”). E-commerce platform BigCommerce (which integrates with Square) recently featured sportswear company Andreas Carter Sports as an example of a retailer that does “Add to Basket” well. By simply changing the color of the button from black to blue, the business reduced abandoned carts by 50 percent. Displaying a trust seal, badge, logo, or icon on your online store is one of the most important e-commerce best practices. It verifies to visitors that your website is legitimate and strengthens their confidence in your site. You should add these to product detail pages and throughout the checkout process. Most e-commerce platforms walk you through how to add trust badges when you set up your online store. Social proof is key. Over 70 percent of U.S. consumers consult online reviews before making a purchase. And 63 percent of consumers say they’re more likely to purchase from a site if it has reviews and product ratings. Reviews not only help customers, they also give you a mechanism to gather valuable feedback and fine-tune your product offerings. Integrate a five-star system and customer reviews on each product page. Anthropologie is an example of a site that does this well; it even lets customers publish photos. Invest in high-quality product photography. Present images in as large a format as possible and give them adequate room to shine. 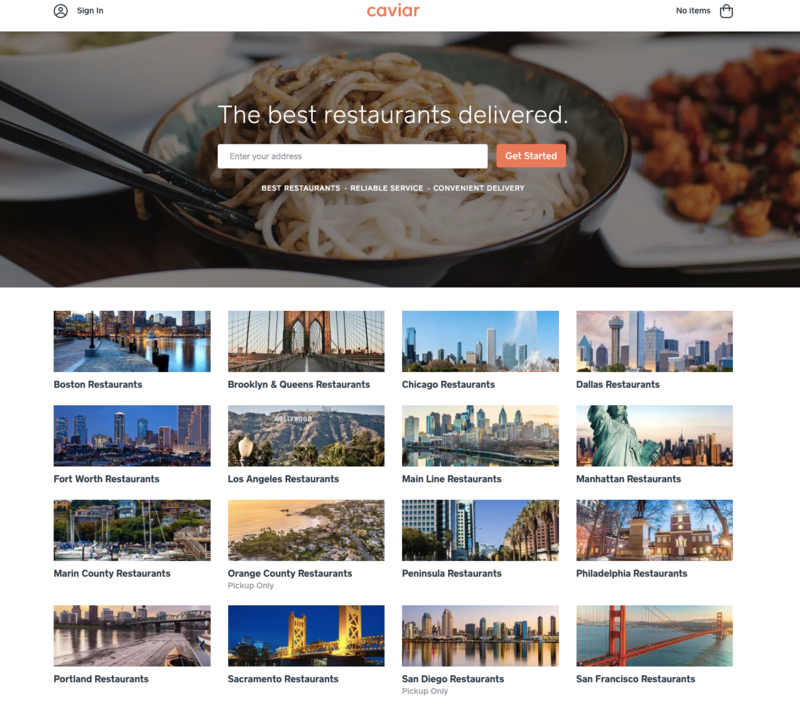 Integrate zooming functionality and views from different angles so customers can get a closer look. If possible, include videos on each product page to give shoppers more comprehensive information about the product and see it in action. Everlane does a great job at this. Its product imagery is clean and clear, with zoom functionality and shots from multiple angles. The retailer also features videos that demonstrate how the clothing looks when someone moves around in it. Email marketing is still one of the most effective ways to reengage customers with your business. So start building your subscriber base. Include a call to action on your e-commerce site, asking shoppers to provide their contact information for special offers and announcements. Square Email Marketing also integrates directly with your brick-and-mortar point of sale to help you build your customer directory. The software automatically adds key customer information after transactions. Social media is one of the lowest-lift ways to market your online store. Be active on the channels that make the most sense for your business, regularly posting compelling content and special offers, and engaging with your audience. Consumers have come to expect personalization as part of their shopping experience. Analyze your real-time data to spot behavioral patterns amongst your customers. Then target strategic messaging or product recommendations to certain groups of people. Compelling, educational content that supports the customer’s buying journey is critical. It’s also key for search engine optimization (SEO). Start an engaging blog, update it regularly, and distribute its content via your social and email channels. Educational product videos are also becoming an increasingly effective form of content marketing. You want repeat shoppers. Loyalty programs help you get them. They also offer an incentive for your customers to provide their email address, which allows you to build your email marketing list. SEO, or search engine optimization, is the process of getting traffic from the “free” or “organic” search results on search engines like Google and Bing. To scalably optimize for e-commerce SEO, you need to focus on page types, then layer with segmentation by product categories. This gives you more granular and actionable insights. Below, we focus on SEO tips that can be applied to all e-commerce businesses. This helps you get a diagnostic baseline for your overall site’s SEO health. Pro trip: Create subfolders based on URL structure to retrieve detailed insights for that category. Creating a sitemap helps you easily diagnose which sections of your site aren’t getting indexed in search results. You can use free XML sitemap makers like this one; advanced users can opt to make a sitemap with Screaming Frog. Pro tip: Use segmentation to highlight page type, then product category (shirts, jeans, shoes, etc.). Your homepage receives the majority of your external links, making it the page with the most SEO value or “SEO juice.” You should link out to top categories from the homepage to improve their performance in both conversion and SEO rankings. Pro tip: Regularly link out to new products to accelerate their indexation and rankings. Category pages are where you should spend the most time optimizing the SEO spectrum. You should test how your clickthrough rate (CTR) changes based on different title tags and meta descriptions. Pro tip: Mine your SEM (search engine marketing) efforts for data, then iteratively test your CTAs as performance will differ by product category. Landing on a deleted page is not a good experience. Nor is landing on a page with an out-of-stock message. These things also dock your SEO rankings. That’s why it’s important to set up systems that automatically adjust your site when things go out of stock or are deleted. Pro tip: Don’t send page redirects to the homepage. It dissolves historical link equity from the source URL. Social media needs to be an integral part of your e-commerce strategy. You should regularly post compelling content to your social channels. But some social media platforms are more effective than others. 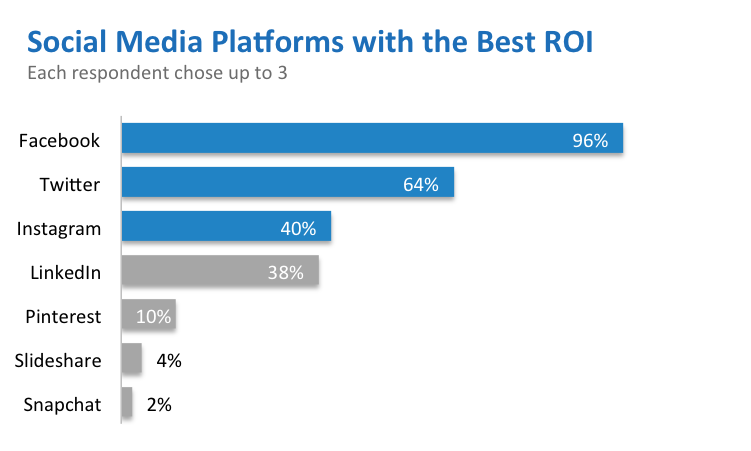 In a survey by eMarketer, social media marketers named Facebook as the clear leader in terms of ROI, followed by Twitter and then Instagram. And although Snapchat has a ton of buzz right now, only two percent of survey respondents said it produced the best ROI. So if you have limited bandwidth, focus your social media efforts on networks you know will drive results. Facebook drives website traffic: The platform drives nearly two-thirds of the social media visits to the e-commerce stores analyzed in the study. Facebook drives sales: Facebook is also the most effective network when it comes to driving sales. An average of 85 percent of all orders from social media come from Facebook. Visual networks drive the highest order values: While Facebook is the most effective in increasing website traffic and sales volume, visual networks like Pinterest, Polyvore, and Instagram drive the highest order values. Marketers ranked email marketing as the most effective channel for customer acquisition and retention in a recent survey by WBR Digital and emarsys. And according to a report from Econsultancy and Adestra, email is the fastest-growing channel for marketing ROI. To get the best results from your email marketing efforts, you should segment your list so you can deliver the most engaging content for each audience set. Square Email Marketing makes this easy. The software automatically parses your list into loyal, regular, or lapsed customers so you can tailor your messaging and offers appropriately. Square Email Marketing also allows you to set up triggered campaigns to reengage customers on a personal level. “Happy birthday” messages containing offers are particularly effective. Automated birthday offers sent through Square Email Marketing have open and redemption rates more than 2.5 times higher than average blast campaigns. In today’s increasingly competitive retail landscape, a rich and robust e-commerce presence is vital. The tips and best practices provided in this guide will help you build a fantastic online store, and then take it to the next level. Never miss a sale. From EMV chip cards to Apple Pay and other NFC payments, accept any type of payment with Square. Payments, digital receipts, open tickets, inventory, reports, and more—Square makes it all easy. Use Square Capital to increase inventory, buy equipment, or open a new location.